Basilicata has everything it needs to produce fine, ageworthy red wines and yet the region is rarely on the radar of wine lovers, much less serious collectors. A little while ago, just around the turn of the new century, some knockout Aglianico del Vulture wines promised better things to come, but that momentum was not sustained and the area fell on tough times, with numerous estates, restaurants and hotels closing shop. But after languishing in the doldrums for a spell, Basilicata’s wine scene has perked up considerably, thanks to an energetic new generation of winemakers taking over their family domaines and a number of exciting new wineries now appearing on the scene. Way back in my salad wine-drinking days, two then virtually unknown wine regions of Italy clearly stood out for their great red wine potential; one of those was the Vulture zone of Basilicata (the other was Etna). While living in Rome in the 1980s, I used to buy and drink wonderfully balanced and complex Aglianico del Vultures from the 1970s. More often than not, I found these wines as good as many much more famous Chianti Classicos and Brunellos made at the time (the Aglianicos were just a touch more rustic). Producers such as Paternoster and D’Angelo were already making excellent to outstanding wines. Aglianicoa from the Vulture have long enjoyed a strong reputation: local oldtimers often regale their visitors with stories of how Vulture’s wines were sold off in bulk and transported by train to more northern lands. Clearly, prior to climate change many anemic red wines made farther to the north needed a boost, as the grapes used to make them often failed to achieve full phenolic ripeness and adequate sugar levels. And so the powerful, ripe Aglianicos being made down south were put to constructive use, so to speak. The renaissance of Italian wine that took place across most of the country in the 1970s and ’80s gave Basilicata and its wines their five minutes of fame, at least within Italy. By the 1990s and the turn of the new century, many exciting new wineries had emerged and an increasing number of very good, at times even outstanding, wines were being made. Already well-known and established estates such as Paternoster and D’Angelo had only gotten better, and new exciting wineries were springing up all the time. Aglianicos such as Paternoster’s Don Anselmo and Rotondo and Elena Fucci’s Titolo Aglianico del Vulture became prized by wine lovers all over Italy. Add to this scenario a newly opened Michelin-starred restaurant in the heart of the production zone, fine hotels and a slew of high-quality artisanal gastronomic products (some of Italy’s best cheeses and salumi are made in Basilicata), and things had never looked better for Basilicata’s Vulture wine country. Unfortunately, the surge did not endure. In less than a decade, the Michelin-starred restaurant (and hotel) in Barile closed and was sold to Campania’s Feudi di San Gregorio, who also bought the Basilisco estate. Macarico was sold to Gerardo Giuratrabochetti, owner of Cantine del Notaio, who promptly sold off the vineyards (again, to Feudi). The D’Angelo estate split up into two similarly named wineries, D’Angelo and Donato D’Angelo. Il Nibbio Grigio and Basilium closed, and Paternoster has been recently sold to Veneto’s Tommasi family of Amarone fame. The reasons for this disaster are varied, including a lack of teamwork between producers (I distinctly remember one producer telling me that he had never set foot in the local Michelin-starred restaurant because he perceived it to be too close to the Paternoster family, as it was owned by Vito Paternoster’s brother-in-law); an overemphasis on Aglianico (very few estates made any white wine at all back then); too many supposedly different Aglianico wines made at each winery that more or less tasted alike; and a denominazione that is too large and lumps together many very different terroirs (thereby denying the possibility of future growth, which might have been made possible by the establishment of subzones that show area-specific nuances and differences). Of course, there were also far too many new wines of dubious quality—many of them plagued by bad oak, and often too much of it. Mercifully, things are now looking up again for Basilicata, thanks to a general clean-up by a new generation of winemakers and estates. Times may not be quite as giddy in the Vulture as they were twenty years ago, but the local wine industry is now on much sounder footing. Basilicata’s wine scene has always been dominated by one extremely large DOC, Aglianico del Vulture, and one grape variety, Aglianico. There are small plantings of Moscato Bianco, Fiano and Malvasia Bianca di Basilicata (a local and high-quality cultivar of Malvasia that is different from the other 17 Malvasia-named varieties growing in Italy), but until recently, and with few exceptions, there wasn’t much wine being made with those three grapes. In an effort to create greater diversity and broaden the region’s wine offerings, a new DOC called Matera was launched in 2005. Matera Primitivo must contain at least 90% Primitivo, which is understandable as this region is not far from Puglia. Matera Rosso is a blend that must contain at least 60% Sangiovese and 30% Primitivo, while Matera Moro calls for a minimum of 60% Cabernet Sauvignon, 20% Primitivo and 10% Merlot. (There is also a Matera Moro Riserva category.) Among the white wines of this new DOC are Matera Greco and Matera Bianco, the former made with at least 85% Greco and the latter with a minimum of 85% Malvasia Bianca di Basilicata. A Matera Bianco Passito sweet wine can also be made with at least 85% Malvasia Bianca di Basilicata. In 2010, legislators decided to tweak Aglianico del Vulture as well, adding the new DOCG categories of Aglianico del Vulture Superiore and Aglianico del Vulture Superiore Riserva. The former must be aged at least 12 months in oak and at least another 12 in bottle, and can be released for sale only in the third year after the harvest, while the latter must spend at least 24 months in oak and at least 24 more in bottle, and cannot be released for sale prior to the fifth year after the harvest. But the Best Intentions . . .
Obviously, the goal of these two new wine categories is to create better, more ageworthy bottles, but I’m not convinced that things will work out as hoped. The new Riserva wines I have tried in the last year or so are often overoaked, and once again the poor quality of the oak is often to blame, with the wines marred by drying green tannins. Although there are always exceptions, I wonder if increasing the duration of wood contact is really what Aglianico del Vulture needs. Given the cost of high-quality oak barrels and the fact that the area’s producers aren’t exactly fetching Pétrus-level prices for their wines, it doesn’t take a genius to figure out that this type of investment is financially risky. 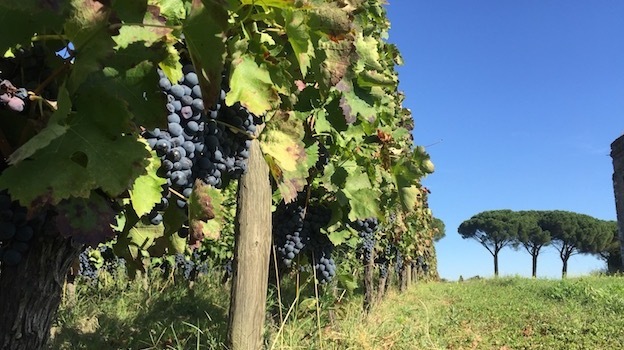 Another problem with the new legislation is that it obligates producers who might want to use the Superiore or Riserva designations to wait until three to five years after the harvest to begin selling these wines. If you consider, as the legislators should have, that Basilicata’s best wine, the Elena Fucci Aglianico del Vulture, is released two years from the harvest, such guidelines would automatically exclude the region’s best wine from its top wine category. Last but not least, the new legislation allows for vineyard area designations much like Barolo or Barbaresco’s Menzioni Geografiche Aggiuntive (MGAs), and this is a commendable idea. But it’s one thing to say Cannubi or Vigna Rionda, and quite another to say Gelosia or Pian di Croce. Practically nobody – even in Italy – is aware of where these Vulture-specific vineyard areas are located or what the wines from each are supposed to taste like. It also doesn’t help that, much like Barolo’s Bussia for example, these sites are quite large areas and so are best thought of as districts rather than single vineyards, thereby making site-specific characteristics of each one harder to pinpoint. I have been visiting the Vulture regularly for 15 years and have been filing this type of soil and microclimate information away, but even I have a tough time drawing conclusions and summing up all the data into a coherent whole. So just imagine how the average consumer who only visits Italy once in a while might react. Clearly, at this early stage, it would have been much more useful for everyone concerned if the Vulture’s wine production area had simply been subdivided by township. So just like in Barolo, for example, where there are wines of La Morra, Monforte and Serralunga, so too in the Vulture there could have been wines from Barile, Venosa and Maschito. Unfortunately, as is the case elsewhere in Italy, in the Vulture too there are producers who do not wish to have their wines identified with a specific area. This is partly the result of a misguided belief among producers that vineyards planted at the top of the Vulture (near Barile or Rapolla, for example), where soils are rich in volcanic ash and tufa, will automatically be considered better than those lower down the slope, for example around Venosa, where the reddish soils have clearly been less touched by volcanic lava over the centuries. But much like the wines of Margaux are not better or worse than Pauillac’s, but rather are different expressions of the Médoc, the same is true of the regions within Vulture. In my view, it’s a real shame – and a lost opportunity for everyone concerned – that the local authorities and the producers have been unable to come to grips with this simple fact. A vast denomination that encompasses profoundly different microclimates and soil types is not the way to create international renown for an area and achieve higher prices, as has been demonstrated countless times before. A wine labeled Australia will typically sell for less than one labeled Margaret River, and the same goes for a Bourgogne Rouge versus a Musigny or Echézeaux. Unfortunately, this situation has led many of Basilicata’s top estates to opt out of the Aglianico del Vulture Superiore/Riserva sweepstakes, and that’s a shame. A Basilicata DOCG that some of the best producers, including Paternoster, Grifalco and Elena Fucci, have chosen to avoid is missing the mark. Nevertheless, Aglianico del Vulture has the potential to be one of the world’s noble red wines. Much of this potential is due to the inherent quality of the Aglianico grape variety, which has too often been masked by poor winemaking and less-than-ideal cellar techniques. When carefully made, from reasonable crop levels, and then aged in high-quality oak, Aglianico del Vulture wines exude enticing aromas and flavors of red cherry, flowers, licorice, tar and minerals. In fact, their aromas bear a distant resemblance to those of fine Nebbiolo, even though Aglianico del Vulture is a very different wine from Barolo in spite of its unfortunate nickname of “the Barolo of the south.” The best Aglianico del Vulture wines also display smooth tannins and vibrant acidity and should evolve positively in bottle for a good 15 years or more. As it was almost everywhere else in Italy, the 2015 growing season was a hot one in Basilicata, but “hot” is a very relative term when applied to the Vulture, where average daily temperatures are much lower than those recorded in parts of Sicily or Tuscany, for example. So rather than extreme heat, 2015 in the Vulture was more affected by unstable, rapidly changing weather patterns. For example, on the morning of August 15, numerous sections of the Vulture were seriously affected by a strong hailstorm—a real shame since 2015 had initially looked like an outstanding year in the making. That said, keep in mind that those areas that escaped the hail unscathed will likely end up making refined, well-balanced wines of real note. 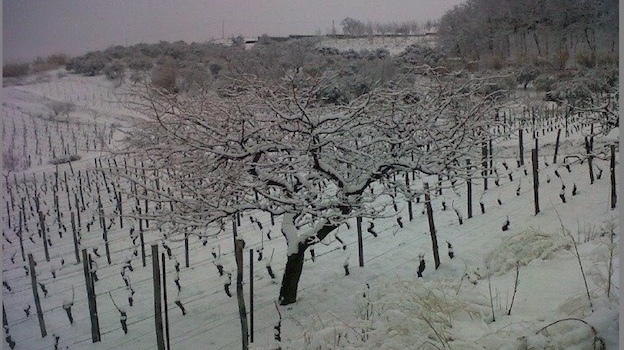 In contrast, the 2014 vintage was generally poor for the area’s red wines, as the year’s weather proved just as difficult on the Vulture as it was elsewhere in Italy. In this very rainy year, not unlike 2016, incidentally. Repeated passes through the vineyards at harvest and strict selection of berries were of critical importance. The 2013 growing season brought small crop levels but produced outstanding wines—in my view, the best Vulture wine since 2008. The ‘13s are fresh, ageworthy and especially mineral, so seek them out. The 2012 vintage offered a mixed bag, but the better wines are quite good. The cold winter that year featured abundant snowfall in January and February, and that precipitation, coupled with a very rainy spring, built up large water reserves in the soil that turned out to be necessary later in the summer, which was sunny and almost too hot and dry, especially in August. September didn’t see much rain either. Consequently, some 2012 wines are marred by tannins that are tough and green due to unripe polyphenols, the result of the sudden rise in temperatures in August. Another problem in 2012 was downy mildew, which had not been seen in the Vulture for nearly a half century and thus went unrecognized in many vineyards. Carelessly made wines often betray rot, elevated volatile acidity or other flaws. Still, the best Aglianico del Vulture wines of 2012 are remarkably well balanced and ageworthy, while offering more charming, upfront fleshy fruit than the 2013s, which will require more patience. As in other Italian wine regions, 2011 was a very hot and dry year, spurring many producers to ask the government for permission to irrigate as a “supportive measure” (irrigation is not normally allowed for Aglianico del Vulture). Bad wines from 2011 are roasted and tough; while better examples are plush and silky yet still favor alcohol and power over nuance and grace. As a general rule, when I have to pick between a good Aglianico del Vulture from 2012 or 2011, I’ll almost always choose the former vintage. I tasted the following wines in September 2016 and in January and February 2017, during my annual foray in Basilicata tasting the new vintages and verticals while visiting estates, and at my home in Rome.